Fasten your seatbelt! 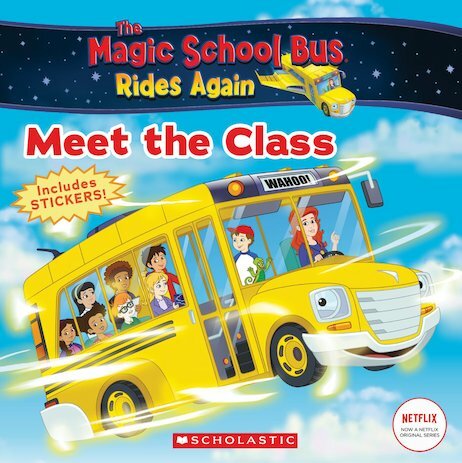 The Magic School Bus is back on the road – or should we say, in the air? This yellow bus is anything but ordinary, and it’s going to get you flying high! It can shrink to the size of a blood cell and zoom around inside your body. It can turn into a snowmobile, dive like a submarine or shoot into orbit like a rocket. With teacher Fiona Frizzle in the driving seat, it’ll take you on the field trip of a lifetime. Deep into the ocean, far into the future – and even up Carlos’s nose! Ugh! Meet teacher Fiona Frizzle and the new Walkerville class! AD790L Lexiles are the global standard in reading assessment. They are unique as they are able to measure a child and a book on the same scale – ensuring the right book gets to the right child at the right time.